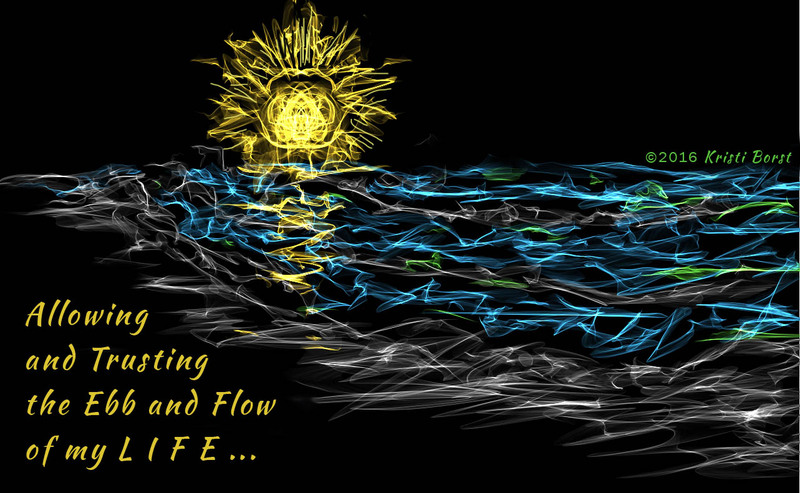 There's a definite ebb and flow to life. As I look out my window and see the snow that makes me want to stay inside, I think about how little time I spend indoors in the summer. Summer, I think, may be a time for us to expand, express, expend our light, reach and energy. Winter is a time for going within, seeing where we are going and assessing what shifts we may need to get on track. It's probably not coincidence that our New Year reflections also happen during this introspective period (I can almost hear the Snow Birds saying, I don't have to stay inside.) 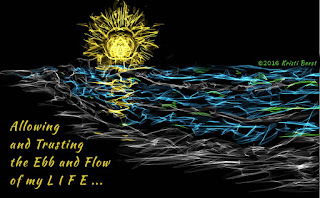 Perhaps it's really important for us to have the ebb and flow ... to take the time to renew our goals, our vision of ourselves, our vision of the world we are co-creating. To be with Self, to cozy our nest, to dream our dreams so we know where we are going to plant our seeds. I can remember that in the beginning of operating Ad•Mark•Com I would have periods in which the work would be furious and then would wane to a trickle. Initially I would panic when the wane came, worrying about finances, wondering if my clients were unhappy, fearing that further work would not arrive. Then the feast would come and I'd be working all hours of the day. It took me a while to realize that I needed to appreciate the periods when there was no work. I learned to take care of myself and my house maintenance responsibilities during those times ... inevitably the tide would turn and things would get so busy. Even after 30 years, when there are no projects on my "to do list" or clients booked for Healing Resonance, I still have to consciously remind myself to stay in the present moment ... savor it ... take care of myself ... do the things I've been putting off ... check in with my goals and make sure I'm still on track for where I want to be heading. Yet, givers need to be receivers too. It's all part of the balance of life. Also, when we are focused solely on the future, we are potentially missing a critical aspect of our lives ... the present (and who knows how that will be wrapped, so having eyes wide open to recognize it is important). I know it can be difficult to just trust in and embrace the ebb as exuberantly as the flow for a variety of reasons. Today, at least, I'm falling gently into the ebbs, knowing that something big is sure to follow. Something that will fill me with so much joy bursting forth. I'm looking out my window beyond the snow, and seeing the trees and plants which are currently resting ... waiting, Soon their brilliance and glory will be undeniable! Trust and faith... these are not easy conditions for us as humans, but oh, the rewards! I am not working on it; I am surrendering to it. Image provided with article is "Ebb & Flow" ©Kristi Borst.